Sleaford Sports Amateurs dropped to sixth in the Lincs League following Saturday’s 3-2 home defeat to Nettleham. Liam Tunstall and Christopher Funnell netted for the hosts, but they were leapfrogged in the table by the Nettles following goals from Matthew Clarke, Callum Foster and Jack Higginson. 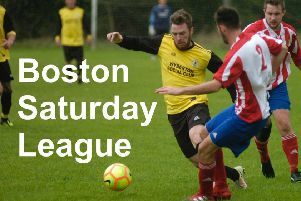 Sports Amateurs return to action on Saturday when they will host Limestone Rangers in the Mason Bros Lincs Junior Cup.